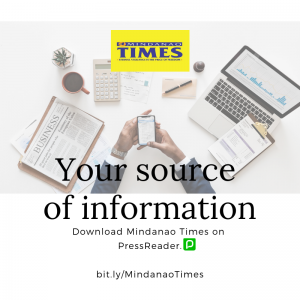 Alfonso “Boy” Guino, Davao’s sovereign fashion designer for five generations of Davaoenas, is definitely the most celebrated and written about personality of his generation. He is also among the best dressed citizens of the city for more than half-a-century now never failing to enthral and mesmerize ordinary mortals with his own unique brand of glamour style. He is definitely Davao’s legendary fashion icon. And no one dares raise an eyebrow to that proclamation. 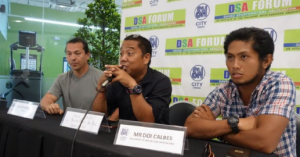 “If ever there will be a study in the evolution and dynamics of Davao City’s fashion industry, it is certain that there is one name that will keep coming up and be mentioned with utmost respect… signifying that he is a major force in our rich fashion history. The name is Alfonso Guino-o,” claims the younger designer Bobby Castillo of his maestro de moda. “Despite the passing of time and the distance which separated us, Boy Guino-o never forgot me. He is such a good-hearted person who would generously send me his Filipiniana creations, which I would always wear with pride especially to our Bayanihan reunions. You don’t forget a true friend like Boy Guino-o,” Madam Kasilag gratefully acknowledged. To this day, despite undergoing three major surgical operations in the past years, Tito Boy continues passionately his well-loved activities in the field of fashion; and holds tight to a vision that spectacular fashion elevates a woman’s spirit. His lifelong preoccupation is to transform women into fashionable goddesses bound by their passion and desire to live a life of significance and style. And many Davaoenas whose lives have been dazzled by Tito Boy’s creations are truly grateful. One of them is his ever dearest friend and confidante, his everlasting fashion muse named Joji Ilagan-Bian, who has flourished through many sparkling moments and has secured confidently her very own distinctive style. Yes, as did Joji’s mom, Tita Inday Javellana-Ilagan, who came before her, and now Joji’s own daughter Nicole. 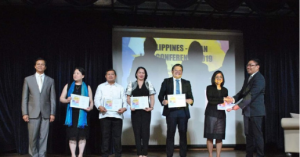 The charming Consul of Bangladesh, Joji Ilagan-Bian, is always ever ready to empower and promote the elderly interests of Tito Boy to make his life more enjoyable especially now that he is “85-years-old going on 25” as claimed by another Boy Guino-o devotee, Consul of Hungary Baby Maceda-Montemayor. 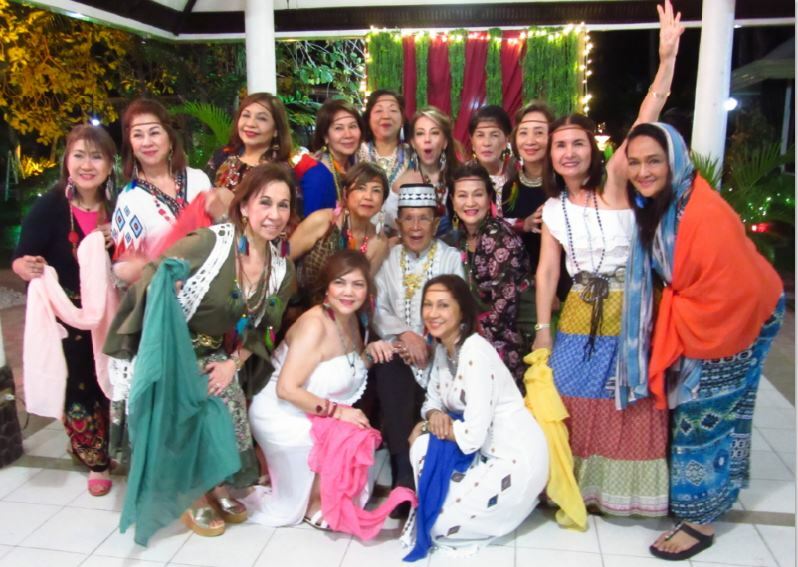 The lovely Joji hosted a surprise intimate dinner reception which requested her conniving amigas to come in Bohemian fashion at her sprawling home in Ladislawa Village to celebrate, albeit belatedly, Tito Boy’s 85th birthday last February 20, 2019. 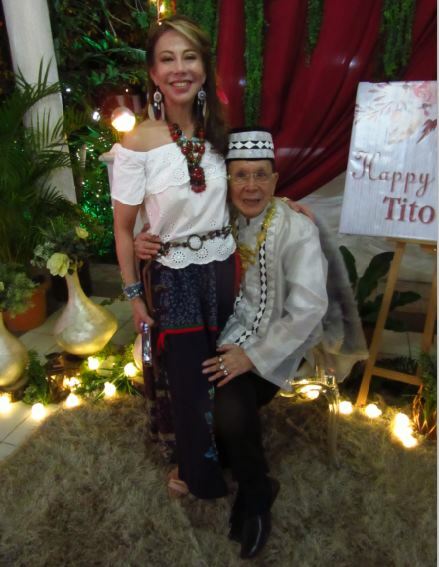 “Tito Love,” as he is affectionately called by the Guino-o’s Angels, was born on Valentine’s Day. 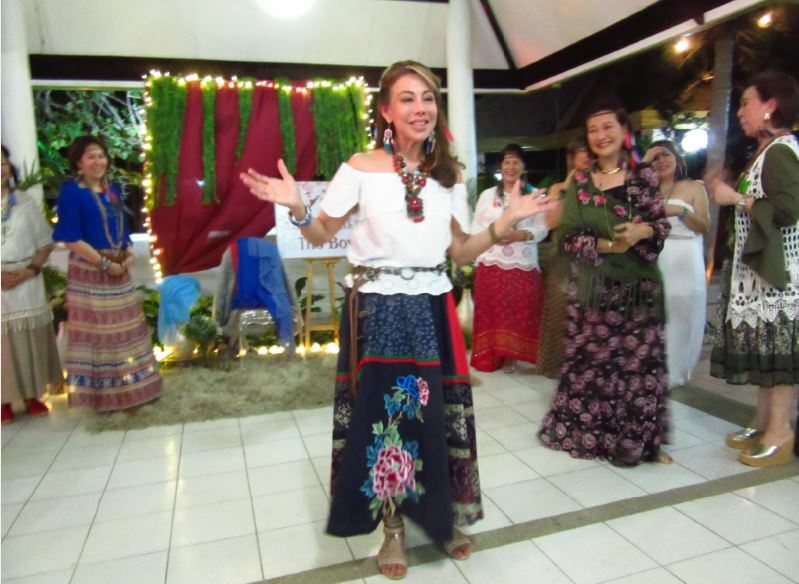 On hand to wish Tito Boy good health, happiness and everlasting beauty in the coming years in a prayer led by Baby Maceda-Montemayor were Davao’s devoted Guino-o’s Angels namely Genette Ledesma-Lon, Mary Ann “Baby” Maceda-Montemayor, Leticia Robillo-de la Paz, Lena Benedicto, Bebot Medina-Estanislao, Grace Yap, Lou P. Almendras, Lilian Abella, Connie Dy, Boots Tesoro, Janette Latayan, Vivian Sison, Lenny Castillo and Bing Pasquil. 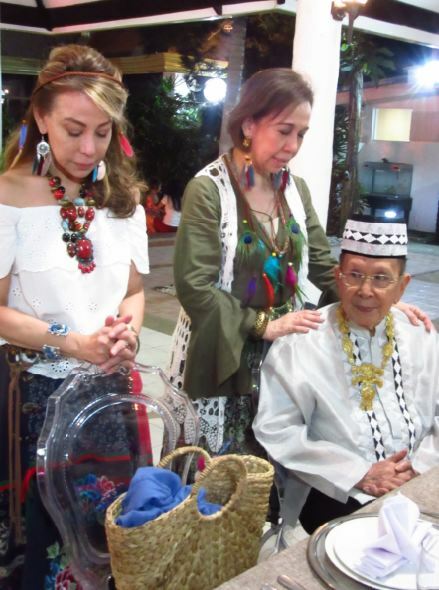 Tito Boy made his well-deserved bonggacious entrance attired in his signature pseudo Muslim royalty ensemble. 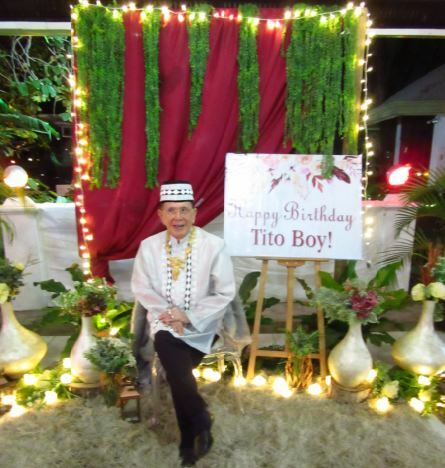 He came accompanied by his trusted and all around yaya, Celine, who wished Tito Boy good health in the coming years so she could travel more with him. 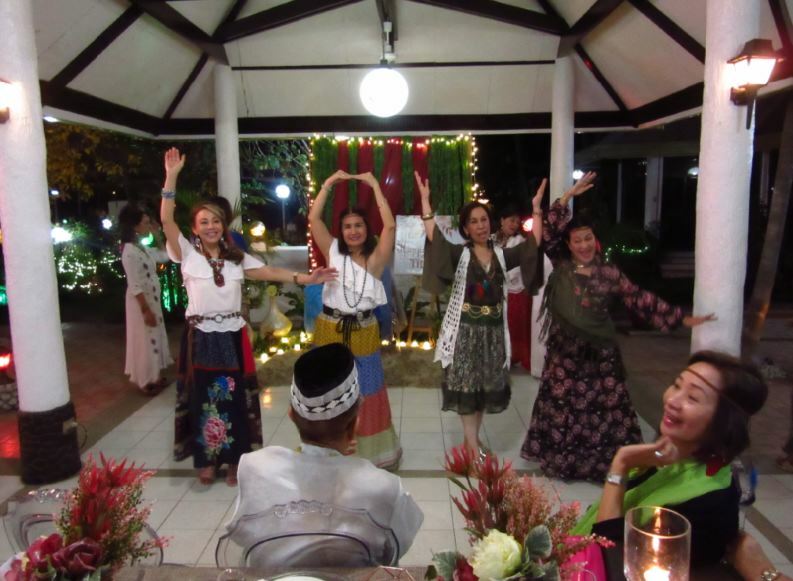 The highlight of the evening was the performance of the ladies, all dressed in their interpretation of the colorful Bohemian fashion, who danced with gusto a Lilian Abella choreography to the tunes of “Love” and “Dancing Queen.” Indeed, it was a heart throbbing tribute to Tito Love. 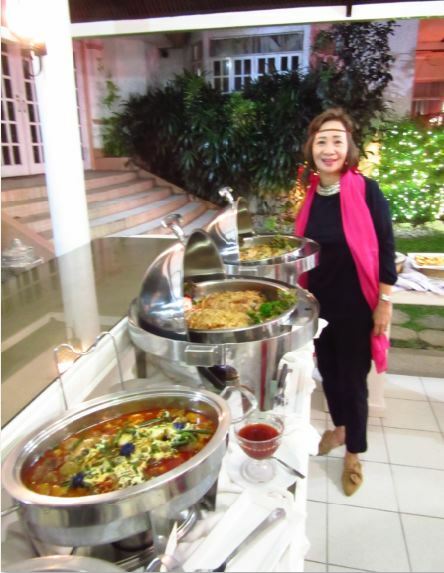 Providing savoury delights that evening was Lena Benedicto’s Rekado Restaurant which served kesong puti salad, longganisa and egg pasta, cocido de rabo, yummy chicken galantina, and baked salmon on a bed of creamy spinach. 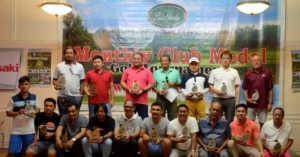 For dessert, Rekado had chocolate cake and egg tarts; while Genette Ledesma-Lon contributed her equally delicious and homemade coffee mousse with crunchy chocolate-coated coffee beans. 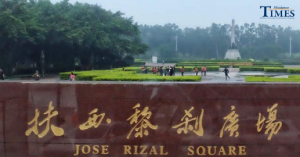 “This is truly a special day when we celebrate our love for Tito Boy and one another,” said the untiring Consul Joji Ilagan-Bian who was leaving the following day for Shanghai; while Tito Boy was again leaving for Manila to attend the Centennial Celebration of Philippine Women’s College. God bless you, Tito Boy. 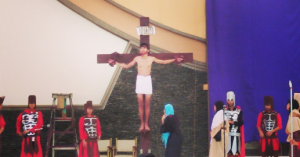 Thank you, Joji Ilagan-Bian, for touching our lives just as much. It was truly a wonderful golden deed for the recognition of a much beloved elder in style.